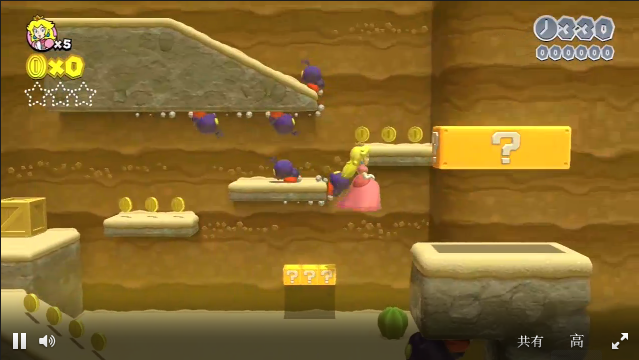 The new Wii U 3D Mario will feature four-player co-op, with players playing as Mario, Luigi, Toad, and Peach. Tanooki suit. Frog suit. Penguin suit. What powerup is the Mario franchise missing? The cat suit, of course. Super Mario 3D World will be the next adventure for the red-hatted plumber, releasing on Wii U this December and featuring four-player multiplayer, as well as the new cat suit powerup. The cat suit will allow Mario and his friends to transform into cats, gaining the ability to climb up walls and scratch enemies with claws. 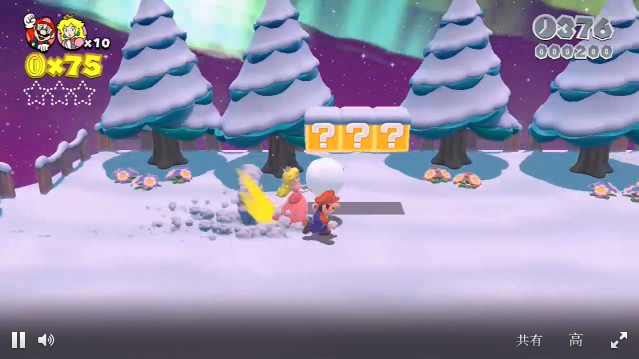 Peach, Toad and Luigi will join Mario in the game's multiplayer mode, which will feature up to four-player co-op (or competitive, depending on how evil your friends are) play, similar to the New Super Mario Bros. series. 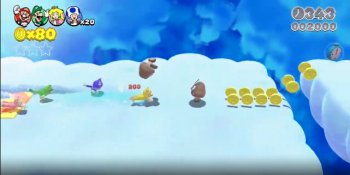 Each character will have its own "unique" feature, that fans of Super Mario Bros. 2 will feel right at home with. 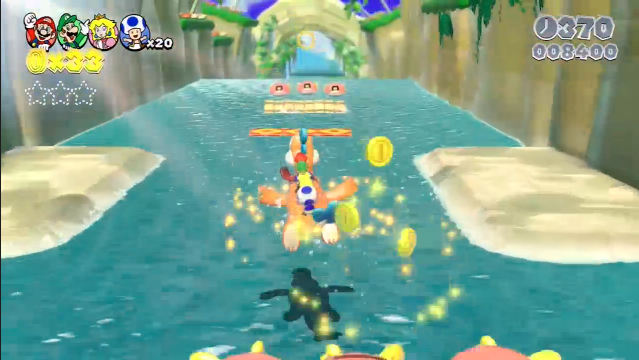 Peach has floaty jumps while Toad runs slightly faster, and Luigi does his Luigi thing. 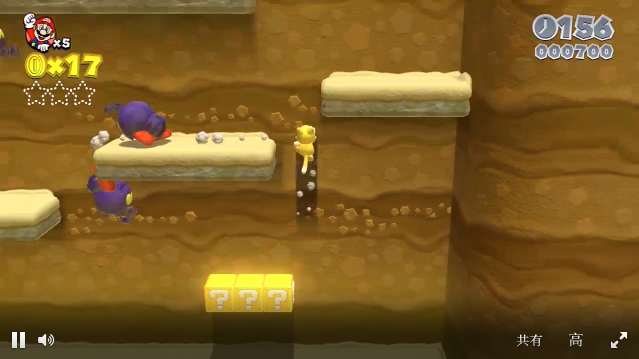 The game will be a 3D Mario game, as opposed to the 2D sidescrollers that were the New Super Mario Bros. games. Iwata says that the game is based on the 3DS's Super Mario 3D Land. The game will be available some time this December, both at retail and as a digital download on the Nintendo eShop.